Dr. Anne M. Carney, M.D. Dr. Anne Carney - beloved wife of John Kruszeski and beloved mother of Eric Carlson, Jeannette Carlson, Rachel White, Tommy White, and Jason Kruszeski - passed from the realms of earth to the realms of spirit on November 19, 2004 after a valiant, year-long battle with ovarian cancer. Dr. Anne Carney was an extraordinarily talented and accomplished woman: She graduated from UWM with honors in 1979; she graduated from the Medical College of Wisconsin in 1983; she was a resident at Mount Sinai Medical Center in Milwaukee from 1983-1986; she started her practice of medicine in 1986 as a board certified specialist in Internal Medicine; in 1987 she joined as a partner with the Internal Medicine Associates; she was a member in good standing with the Florida Medical Association, the American Medical Association, and the Orange County Medical Association; she was on the staff of ORMC and Lucerne; and she retired from the practice of medicine in 1995. 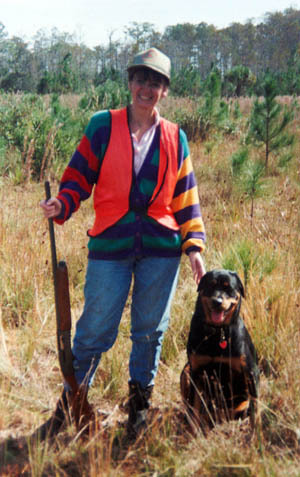 In 1999 she began a brand new adventure, starting Suwannee River Ranch, a private hunting preserve, with her husband. Besides her many professional and scholarly accomplishments, she was an avid gardener, classical pianist, sculptor, painter, hunter, animal lover, world traveler, successful business woman, an expert on almost any subject, and most of all a wonderful wife and mother. She approached life with a unique blend of courage, determination, and grace. We will always miss her and carry her in our hearts.